Live the secluded waterfront lifestyle you’ve always imagined about in the fresh beauty of Juno Beach. Developed on the last remaining piece of land on the Intracoastal in Juno Beach, Bay Colony offers luxury condo residences starting from the $300’s. Surround yourself with the best the Palm Beaches has to offer…resort-style living, beautiful beaches, shopping and dining at The Gardens Mall, Worth Avenue and CityPlace, fantastic golf courses, and the Kravis Center, are all minutes from your residence. 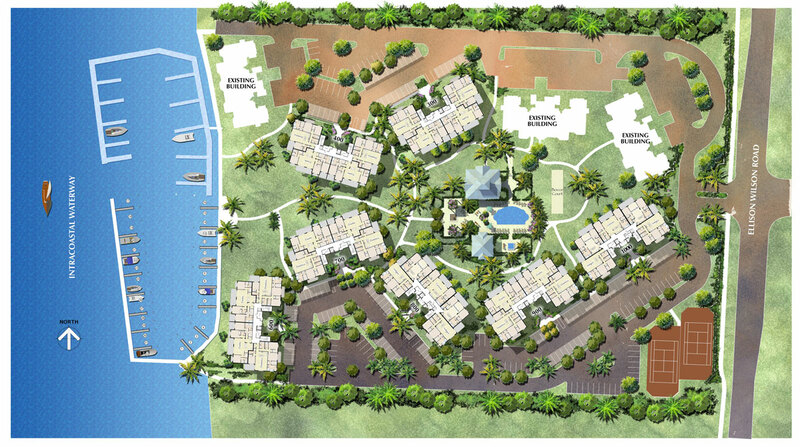 At Bay Colony, you can live on the Intracoastal and walk to the beach! Choose from one of Bay Colony’s spacious 2 & 3 bedroom floor plans with expansive dine-in terraces, state-of-the art standard features, resort-style amenities and Intracoastal or resort views. Live Your Dreams at Bay Colony. On the Intracoastal in Juno Beach. Plus the Palm Beach International Airport is only a short drive away for all your travel needs!